One of the parents actually recommended this one to us because her son (who is 2) and her nieces (both under 2) really love it. It seems to be popular with the other kids too. They love joining in with the actions and the noises. Michael Rosen is a great storyteller, and even without doing anything fancy with the pictures it’s probably the most entertaining one we watched. The animals were the most popular bit of this one (as in the book actually), the kids loved shouting out what the animals were, and found it hilarious when the animals swept down to take the fruit. It’s one which works well as a video as a lot of the story from the book is from the pictures rather than the words, it’s almost like a storyboard in fact. I also like that Handa has an African accent. Peace at Last is still a favourite in toddler room, so I had expected it to be popular, but it didn’t go down so well. 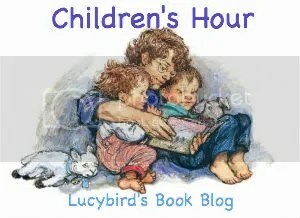 Maybe it was because it wasn’t read the way they are used to reading it (Mr Bear is usually more shouty when we read it, and the kids join in), or maybe it was because it was the last one we watched but they didn’t join in as much as they (had in the past. In fact it took the alarm at the end to bring the kid’s attention back to the screen. I must admit I wasn’t that impressed with the reading or the video. There wasn’t really anything added which wouldn’t be possible to do when you were just reading it yourself. In fact if anything there was less because we couldn’t see the reader’s facial expressions. The only real advantage is when they zoom into whatever is being spoken of in the story at the time.